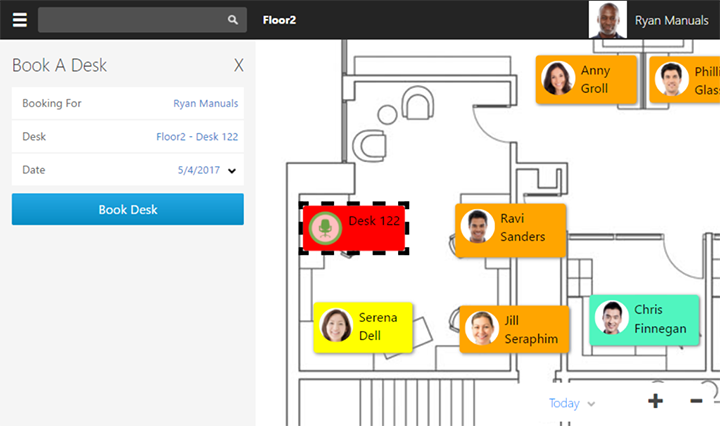 'Booking a desk' in StaffMap is as easy as selecting the shared desk you want on the floorplan, picking a date and time to reserve, and confirming that reservation. 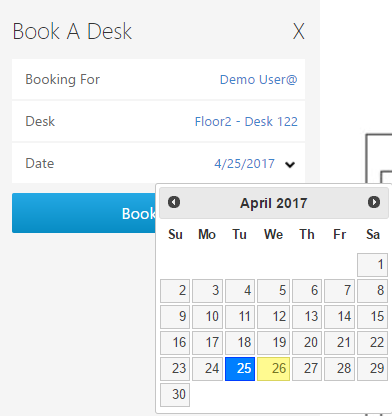 Log in as a user in the project that may book a desk (if public users are allowed to book desks, then logging in is not required). Select the floorplan from the Side Menu. Click a desk on this floorplan to display the Book A Desk form. 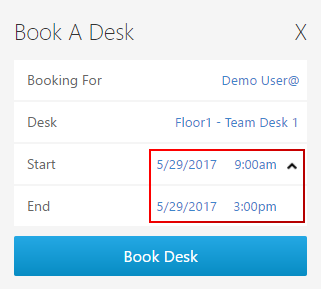 In the Book a Desk panel, confirm the user booking the desk and the desk name are accurate. Select Today in the Date field to select a date from a calendar interface. 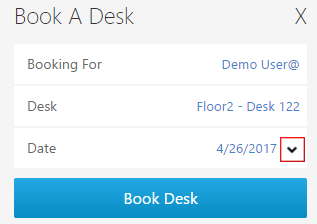 Select Book Desk to reserve the desk, room, or equipment selected. 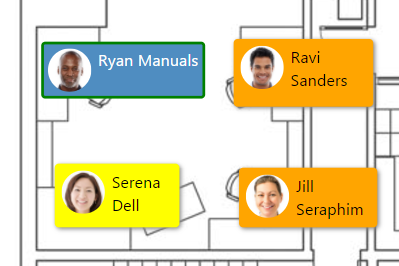 The employee name and picture will be displayed on the floorplan to indicate who has booked the desk. Booked desk panels have a green border. 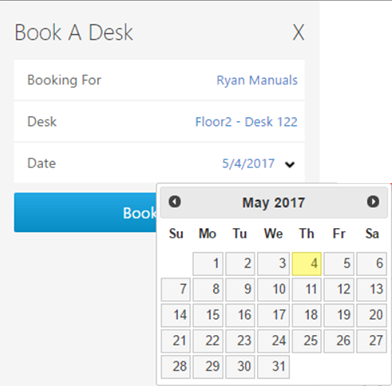 In the Date field, select the arrow down to expand the panel and display the time of the booking. Select the time displayed to change it using a drop-down menu. Select Book Desk to reserve your work space.